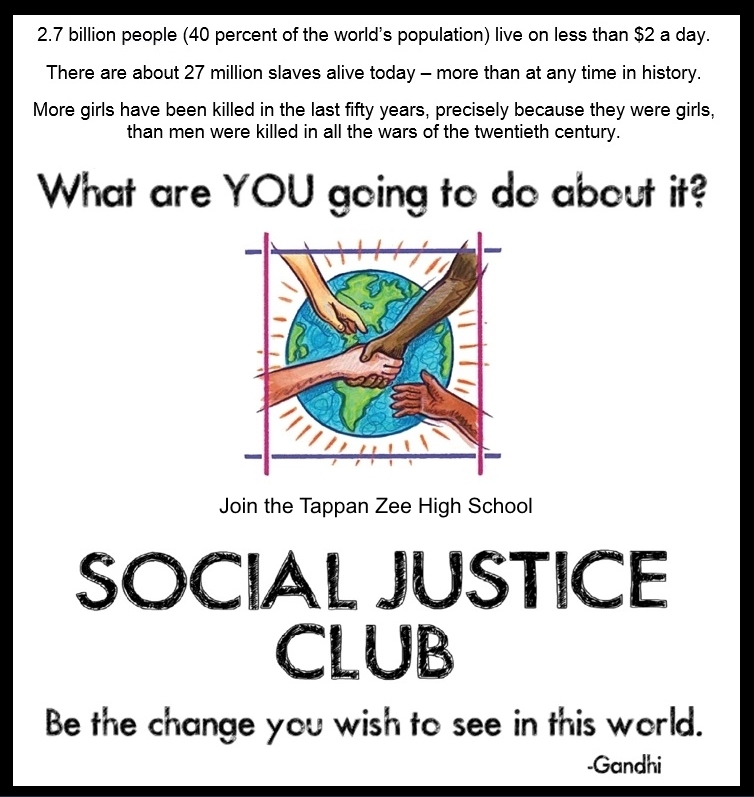 Follow TZHS Social Justice on Instagram! What is Social Justice Club? Where is our partner school? What do we do for our partner school? (From the GLI Mission Statement) Girls Learn International (GLI) educates and energizes U.S. students in the global movement for girls’ access to education. GLI pairs Chapters in U.S. middle schools and high schools with Partner Schools in countries where girls still lag behind boys in access to education and where girls are far less likely than boys to stay in school past the primary grades. The GLI Program supports the empowerment of U.S. students as they discover that through their own creative initiatives, dedication, and passionate leadership, they can create real solutions that address the obstacles facing girls and women here and around the world. Student-to-student, and student-to-parent, GLI is building a movement of informed advocates for universal girls’ education and a new generation of leaders and activists for social change. – See more at girlslearn.net. Throughout the school year we raise money to send to GLI, who in turn, sends it to the Emusoi Centre. Our annual goal is $1000. We do this through sales of free trade bracelets from artisans in India, bake sales, and donations collected at films and events. Administrators and educators at Emusoi decide where the money is most needed and use the funds appropriately. GLI is a vetted non-profit organization heralded by Nicholas Kristoff of the New York Times in his book, Half the Sky: Turning Oppression Into Opportunity for Women Worldwide. Half the Sky: Turning Oppression Into Opportunity for Women Worldwide by Nicholas Kristoff and Sheryl WuDunn The book that started the Social Justice Club at TZHS! Read it and see how you can make a difference! We have shown several films in the Social Justice Club and plan to show more every year. Have a recommendation? Email it to Ms. McMane or Ms. Parker-Hennion! Miss Representation An exploration of how mainstream media contribute to the under-representation of women in influential positions by circulating limited and often disparaging portrayals of women in advertising, television, film, etc. Watch the trailer here. Borrow the video from the TZHS library! Girl Rising The story of nine girls from nine different countries, their hardships and their triumphs. Watch the trailer here. Borrow the video from the TZHS library! Food Inc. A look at agribusiness in America. Watch the trailer here. Borrow the video from the TZHS library!